It might have been an injury crisis that forced beleaguered Manchester United manager Louis van Gaal to throw several youngsters into the side these past few weeks, but the promotion of 18-year old Marcus Rashford in particular might just have provided the spark the club has been seeking. While you'll find few Reds that will argue that this season has been anything other than a disappointment, and it still looks as if Van Gaal will be out this summer, the Old Trafford faithful were given a bit of a lift this week with Rashford's eye catching performances. In his debut against Midtjylland in the Europa League his two goal salvo helped United overcome a 2-1 first leg deficit to steamroller the Danes 5-1 in the return leg. Although it can be easily argued that Midtjylland are a poor outfit and that scoring against them isn't that great an accomplishment, the young striker from Wythenshawe in South Manchester proved his debut was no fluke when he buried two chances against title chasing Arsenal on Sunday. 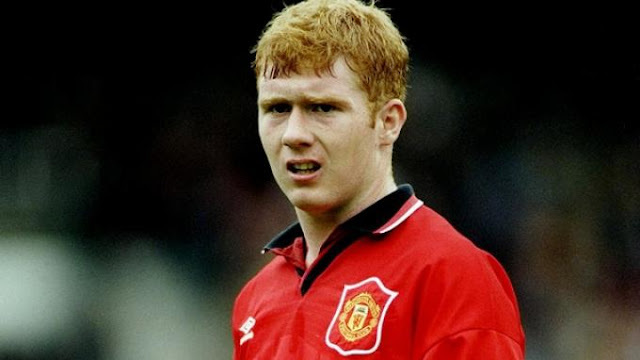 The ginger midfield maestro Paul Scholes had a knack of popping up with big goals from midfield throughout his career. He wasted little time in showing United supporters what was to come when he debuted as a 19-year old in a League Cup tie against Port Vale and scored both goals for the visiting side that day in a 2-1 win. Scholes would go on to become a club legend, making 718 appearances for United and playing a big part in 11 Premier League titles among other trophies. Signed from Everton for £25.6 million in the summer of 2004, Wayne Rooney debuted for United a few weeks shy of his 19th birthday and immediately showed the world why the club had paid so much him. In his debut against Turkey's Fenerbahce he scored a sensational hat trick and laid on another goal in a thumping 6-2 win. Rooney would go on to win five Premier League titles with the club and is now on the verge of breaking Sir Bobby Charlton's all-time scoring record. 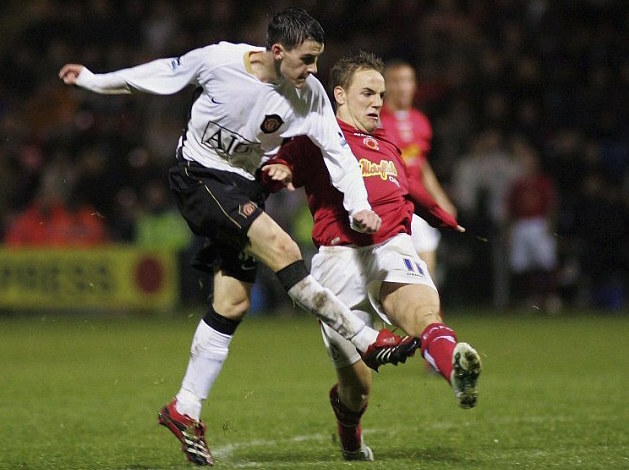 A product of United's youth academy, Kieran Lee made his senior appearance for the club against Crewe Alexandra in a League Cup third round tie in 2006 as an 18-year old and ended up scoring an extra time winner. The midfielder would find it next to impossible to land a permanent spot in the first team squad though and would leave for Oldham in 2008. He's currently plying his trade for Sheffield Wednesday in the Championship. With United battling bitter rivals Liverpool for the title heading into the final months of the 2008-2009 Premier League campaign, the last thing they could afford was to drop points at home. But with Aston Villa leading 2-1 at Old Trafford last on in this April tussle things looked desperate. Coming on as a substitute, 17-year old Italian striker Macheda first saw Cristiano Ronaldo equalize before he announced himself with an epic drive late into stoppage time to win the match. Unfortunately a combination of dips in form and I just saw to it that this was as good as it was going to get for Macheda as he spent much of the next few years out on loan before being released to Cardiff in 2014. Handed a debut against Hull City by temporary boss Ryan Giggs (coincidentally on the same night we launched this site), 18-year old James Wilson fired in two goals to sink Hull City towards the end of a disappointing campaign. Struggling to win a place in the side under current manager Louis van Gaal, Wilson was sent out on loan to Brighton at the beginning of this season.